If you find yourself with a chipped or misshapen tooth, you may assume multiple visits or major restorations will be needed to improve your smile. However, with cosmetic dentistry we offer patients in Richfield, MN, an option to restore smiles in just one visit. Let’s look at the benefits of our cosmetic bonding and contouring procedures. If you have a cavity, we typically recommend a filling. Instead of traditional amalgam restorations, we offer metal-free fillings that look natural. That’s because they contain composite resin, a special combination of glass and plastic compounds. We employ the same material in dental bonding. 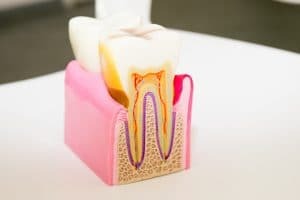 Restoring a tooth with bonding means applying the material to the tooth in several layers. We then sculpt and mold the tooth as the composite resin cures under a light. Finally, we polish the tooth for a more natural appearance. The entire procedure only takes one visit, and helps mask permanent teeth stains, repair minor chips, reshape malformed teeth, and close gaps between the teeth. Repairs look natural because we can shade the material to match the color of surrounding teeth. We can also use several layers to mimic the translucent appearance of natural tooth enamel. While bonding means adding material to the tooth, contouring actually addresses cosmetic concerns with an opposite approach. We gently buff away small layers of outer tooth structure, which helps us address pointed teeth, reshape malformed teeth, repair minor damage, and even smooth pits or grooves in the tooth’s surface. Again, the entire procedure takes one visit to complete and we offer both bonding and contouring in a single sitting. What can you do to help protect your smile from damage? For one, try to avoid biting down on hard objects, such as ice, pens, or pencils. If you play sports or martial arts/boxing, anything where your smile could sustain damage, be sure to wear a mouthguard. Don’t ignore aching or sensitive teeth, as advanced decay or infection could weaken a tooth and make damage and tooth loss more likely. In fact, if you see us for routine six-month checkups and cleanings, then we can monitor your smile and address issues that could lead to damaged teeth in the earliest stages. If you have any questions about either of these cosmetic treatment options, or if you have a tooth in need of repair, then please contact our team today. If you have damaged your tooth, then talk to our team about possible cosmetic solutions. 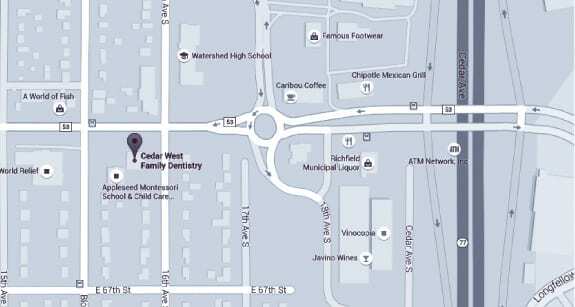 To learn more about our approach to cosmetic dentistry, schedule a consultation with Dr. Keller by calling Cedar West Family Dentistry in Richfield, MN, today at (612) 861-7188.